Satellite or other source weather radar information that is uploaded to the aircraft from an outside source. 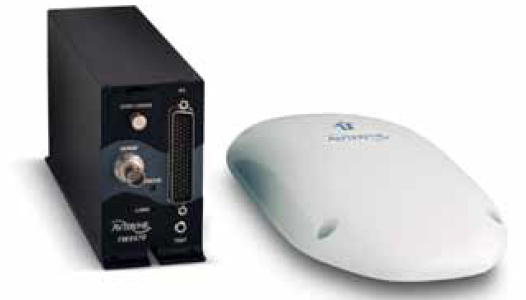 On-board weather radar systems can be found in aircraft of all sizes. 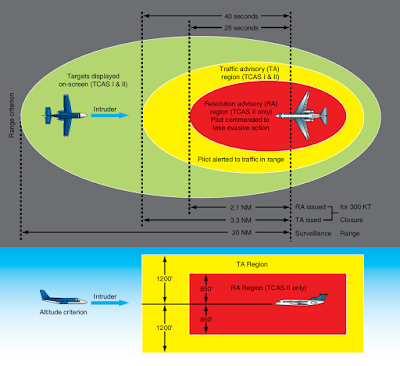 They function similar to ATC primary radar except the radio waves bounce off of precipitation instead of aircraft. Dense precipitation creates a stronger return than light precipitation. The on-board weather radar receiver is set up to depict heavy returns as red, medium return as yellow and light returns as green on a display in the flight deck. Clouds do not create a return. Magenta is reserved to depict intense or extreme precipitation or turbulence. Some aircraft have a dedicated weather radar screen. Most modern aircraft integrate weather radar display into the navigation display(s). 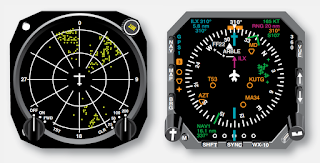 Figure 1 illustrates weather radar displays found on aircraft. Severe turbulence, wind shear, and hail are of major concern to the pilot. While hail provides a return on weather radar, wind shear and turbulence must be interpreted from the movement of any precipitation that is detected. An alert is annunciated if this condition occurs on a weather radar system so equipped. Dry air turbulence is not detectable. Ground clutter must also be attenuated when the radar sweep includes any terrain features. The control panel facilitates this. Special precautions must be followed by the technician during maintenance and operation of weather radar systems. The radome covering the antenna must only be painted with approved paint to allow the radio signals to pass unobstructed. Many radomes also contain grounding strips to conduct lightning strikes and static away from the dome. When operating the radar, it is important to follow all manufacturer instructions. Physical harm is possible from the high energy radiation emitted, especially to the eyes and testes. Do not look into the antenna of a transmitting radar. Operation of the radar should not occur in hangars unless special radio wave absorption material is used. Additionally, operation of radar should not take place while the radar is pointed toward a building or when refueling takes place. Radar units should be maintained and operated only by qualified personnel. Lightning detection is a second reliable means for identifying potentially dangerous weather. Lightning gives off its own electromagnetic signal. The azimuth of a lightning strike can be calculated by a receiver using a loop type antenna such as that used in ADF. [Figure 3] Some lightning detectors make use of the ADF antenna. The range of the lightning strike is closely associated with its intensity. Intense strikes are plotted as being close to the aircraft. Figure 3. A receiver and antenna from a lightning detector system. A dedicated stormscope lightning detector display (left), and an electronic navigational display with lightning strikes overlaid in the form of green “plus” signs (right). A third type of weather radar is becoming more common in all classes of aircraft. 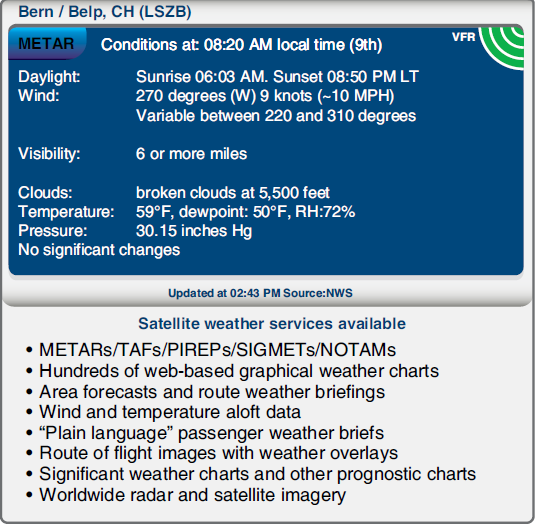 Through the use of orbiting satellite systems and/or ground up-links, such as described with ADS-B IN, weather information can be sent to an aircraft in flight virtually anywhere in the world. 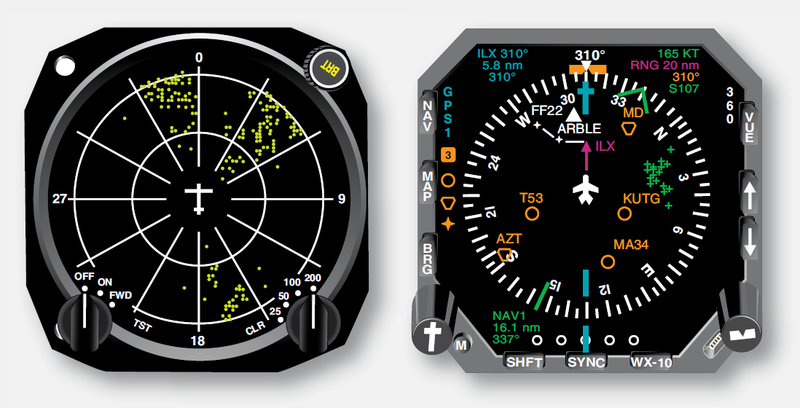 This includes text data as well as real-time radar information for overlay on an aircraft’s navigational display(s). 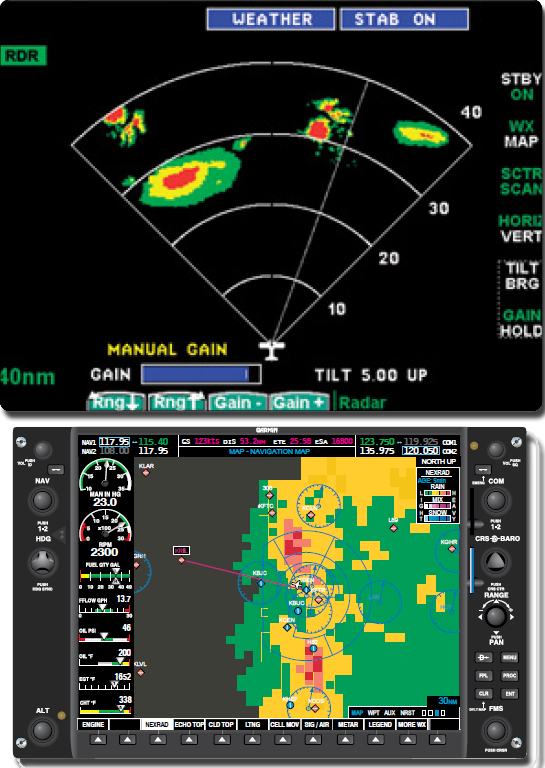 Weather radar data produced remotely and sent to the aircraft is refined through consolidation of various radar views from different angles and satellite imagery. This produces more accurate depictions of actual weather conditions. Terrain databases are integrated to eliminate ground clutter. Supplemental data includes the entire range of intelligence available from the National Weather Service (NWS) and the National Oceanographic and Atmospheric Administration (NOAA). 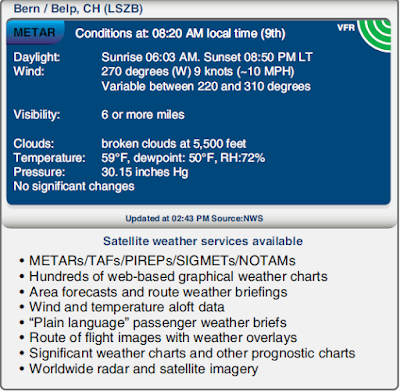 Figure 5 illustrates a plain language weather summary received in an aircraft along with a list of other weather information available through satellite or ground link weather information services.